A deal between nations that account for nearly a third of world GDP has symbolic value and may save European companies up to 1 bln euros a year in custom duties. But such benefits are dwarfed by the damage the U.S. president could inflict with more tariffs, say on car imports. 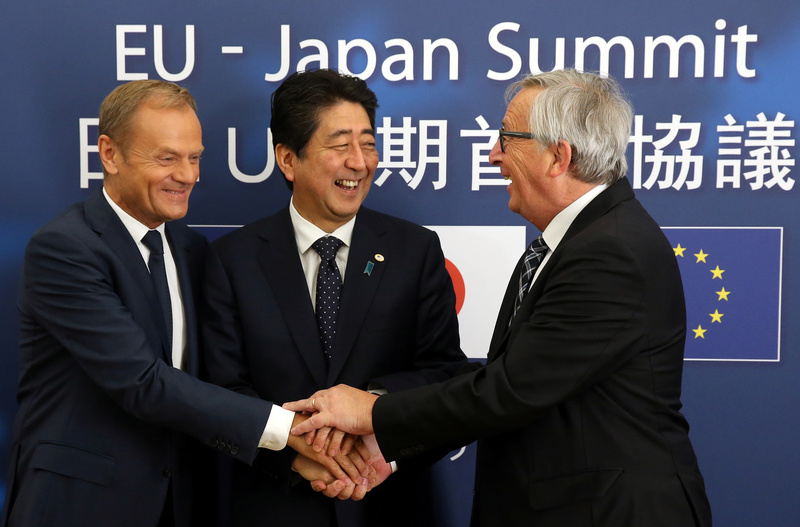 Japan and the European Union on July 17 signed a wide-ranging free trade deal that creates the world’s largest open economic area.